Ahead of the new season, Mandy Moore attended the red carpet premiere of 'This Is Us' at Paramount Studios yesterday evening(September 25th) in LA. 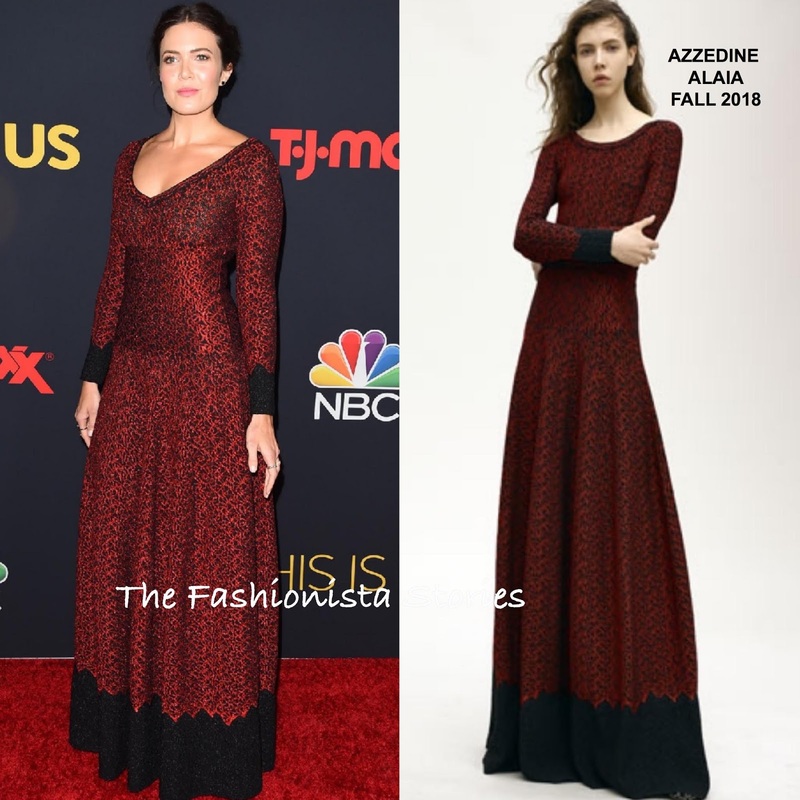 Turning to to AZZEDINE ALAIA, she wore a FALL 2018 long sleeve red & black beaded embroidered, floor gazing dress, featuring a v-neckline and a cinched waist. Mandy is wearing her AA dress backwards and while I like the v-neck in the back, she looked great in this dress. LE VIAN & MAXIOR JOIAS rings, she finished up with an up-do and minimal makeup. Do you prefer the v-neck in the back or front?